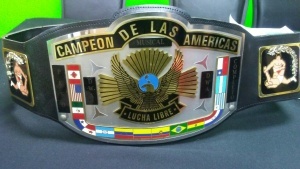 The The Américas Heavyweight Championship is a professional wrestling title promoted by DWA (Desert Wrestling Allience) in Arizona. This title is recognized by the DWA and Baja California. El Musical is the current champion. 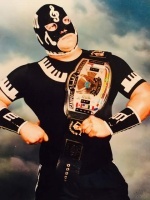 He defeated Bala de Plata in Somerton, Arizona. This title was introduced by the DWA. This page was last edited on 3 September 2018, at 17:00.